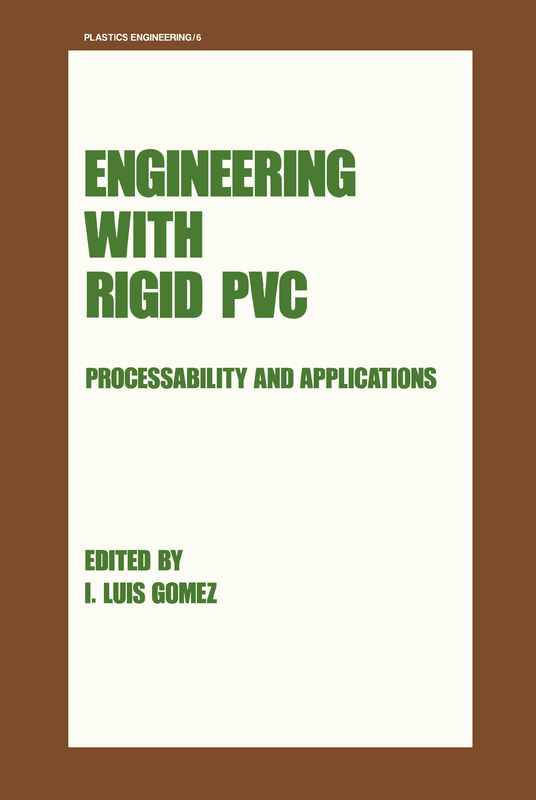 This comprehensive, long-needed reference provides the thorough understanding required tomodify and manipulate rigid PVC's thermal/shear sensitivity and rheological properties, helpingyou utilize rigid PVC most effectively in manufacturing applications as diverse as pipes,house siding, bottles , window frames, and packaging films.With complete, up-to-the-minute coverage in one convenient source, Engineering with RigidPVC encompasses rheological principles, resin properties, and additive modification, as wellas polymer preparation, melt processing, and forming techniques … major conversion operationsand their manufacturing applications-including actual commercial formulations andprocesses .. . quality control procedures necessary to monitor compounding processes …aspects of processability critical for product development and improvement .. . and muchmore.International in scope, this time- and money-saver is an eseential daily resource for all professionalsinvolved in Engineering with Rigid PVC, including plastics engineers, polymer chemists,process engineers, and plastics processors and technicians. Furthermore, the volume isideal for training programs and professional seminars, and is an outstanding supplement forstudents in polymer chemistry , materials science , and plastics engineering.